← Our last SUMMER SESSION FARM PARTY! Hey everybody. 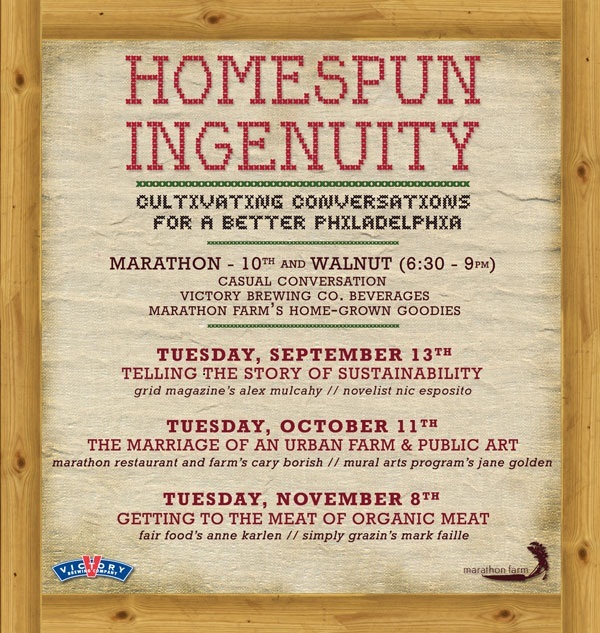 Please attend our speaker series featuring prominent Philadelphians in our thriving sustainable agriculture and local food movements. They will be fun and informative for those already involved in urban agriculture and those who are looking to get more involved and connected to others in the movement.